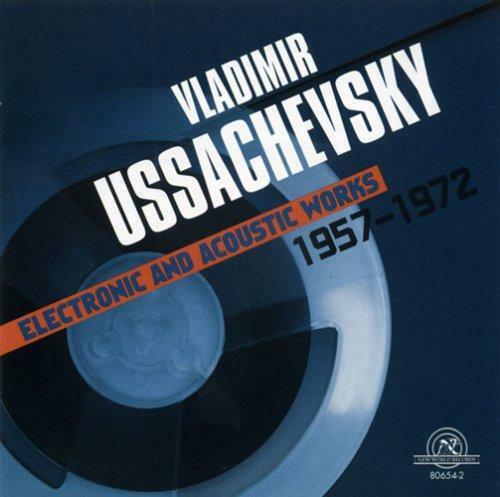 Vladimir Ussachevsky is a very interesting figure in the American music scene of the twentieth century, especially for his deep interest in the many stimuli that have fueled the music of his era. Those of Ussachevsky were very different interests, as it was his music, which led him to deal not only with writing for traditional instruments, but also with the electronic, analog and digital; experienced in both cases as a pioneer. This pioneer life, along with capacitors and teletype, has made Ussachevsky one of the most particular composers of the new American music, this collection attempts to celebrate it with some examples illustrating the most important steps. Here, then, that summarize in a single collection the varied musical experience of Vladimir Ussachesvky is a work far from simple. It was not easy to play a concise election, but yet comprehensive, of his articulated musical career; but above all, it was not easy to balance the inevitable results of some experimental work with others from the aesthetic aspects more interesting. It was not easy but it seems that this collection will has gone around. The theme chosen was chronological, but also the medium used, as the collection proceeds from the first electronic experiments of the fifties until the recovery of the religious musical tradition with the Missa Brevis in 1971, and in the middle of this path found some space works of computer music. The latter, of course, of interest to the topic of this site, in turn testify to the variety of experience of Ussachevsky, even in the context of computer music. Computer Piece No.1 (1968) is the Russian-born composer’s first experience of composition through the computer. The work was made ​​possible thanks to the collaboration of Jean-Claude Risset and Richard Moore of Bell Labs. The two were responsible for the synthesis of sounds, which were reworked by the composer with analog equipment of the Columbia-Princeton Electronic Music Center. More experimental the two Sketches made ​​with the Groove, a hybrid synthesizer. These two very short works, which however have some interesting solutions timbre, even taking into account that were made mostly in real time, which is rare for these years. Far more complex the genesis of The Creation (1960-1973), divided into three sections called simply Prologue, Interlude ed Epilogue. In this work for chorus and tape, the first two movements were made ​​in 1960 and executed the following year. In the seventies Ussachevsky returned on several occasions on this work to carry on with the Music V the digital parts of the third movement (1971), then with the Groove for the digital parts of the Interlude (1973). Although this collection is not the complete set of works by Ussachevsky with the computer, the list of which is shown here, should be recognized, however, that it express well the multifaceted musical experience of the American composer, actively involved with the new technological instruments, as evidenced by his work, but also by the foundation of the Columbia-Princeton Electronic Music Center.